No Boundaries: This group focuses on beginners, but all levels of runners are welcome. This 13 week program is structured to assist you with crossing the finish line of your first race or to help existing runners meet new performance goals. 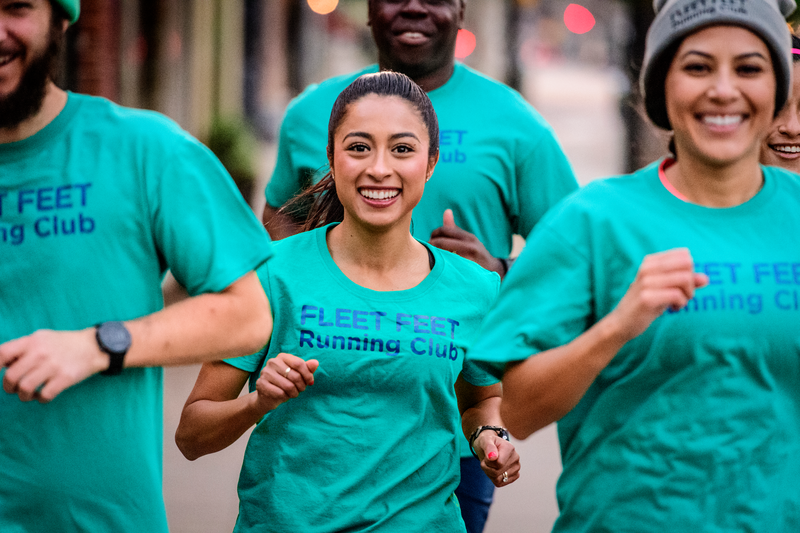 Whether you are new to running or are looking to run a faster 5k, this group is for you. Along the way we'll provide you with motivation to keep you moving, guidance and advice, weekly group training runs or walks, and educational clinics on topics such as proper nutrition, choosing the right gear, and avoiding injury. Plus, you'll have the camaraderie of others just like you! The program meets twice weekly on Wednesday evenings and Saturday mornings. The workouts will last about an hour to an hour and a half as we increase mileage throughout the season. Summer session for No Boundaries begins on May 22nd, 2019. Please contact Jenn at (jen.w@fleetfeetrockford.com) or call the store at 779-423-1435 for more information. There will be an information session on May 8th at 5:30pm. We highly suggest attending this meeting for more information. Description: No Boundaries focuses on beginners, but all levels runners are welcome. The program is structured to help you cross the finish line of your first race and perfect for participants who are looking to run a faster 5K!